Words are powerful! And no words are more powerful than inspirational quotes. They have the ability to motivate us, give us hope, and instill wisdom. When incorporated deeply into your being, personally meaningful inspirational quotes can profoundly affect the course of your life. 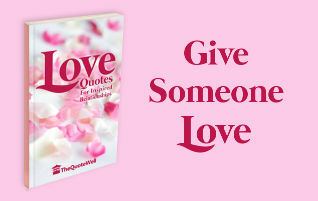 TheQuoteWell is passionate about spreading hope, joy, wisdom, and humor through the power of the written word. Follow us on Twitter, Facebook, YouTube, and Google+ for access to FREE wisdom daily. Want to give the gift of inspiration? 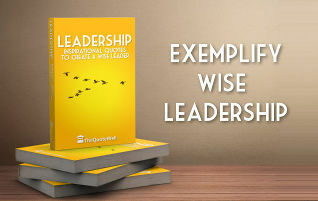 TheQuoteWell offers a growing series of digital and printed books for about the same price as a greeting card. 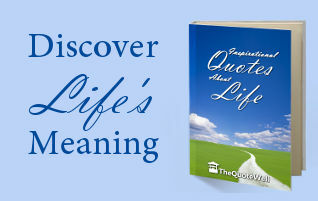 Each book is the result of an exhaustive search from the past to the present for only the most amazing inspirational quotes on the subjects of Life, Love, Leadership, and more! The result is a chorus of profound wisdom emanating from a fascinating diversity of speakers. Greeting cards are read once then thrown away. Why not give an unforgettable gift?